AU announced an Android phone today. Details are virtually nonexistent, but from June, a new Android and WinMo phone will be on sale. Also, like Docomo, AU will be offering an application market. This website is fantastic, thanks for offering so much advice. I had a chat with a lady at the local AU ship today, and while refusing to pinpoint the date said that AU will offer a smart phone from this summer. Apparently the AU SIM card is currently too slow and needs to be updated to work with Smart phones. I'll be dumping Softbank in June then and hopefully will be able to stick a new AU SIM card in an imported Nexus One. The 2 smart phones for AU have been announced. 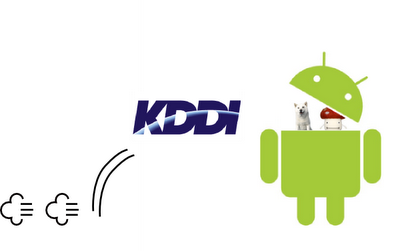 "KDDI is releasing the IS01 smart phone featuring the Google Android operating system and the IS02 smart phone with Microsoft Corp.'s Windows Mobile OS. "